I found these bat straws over at Scrapbooks Etc. They are beyond cute. 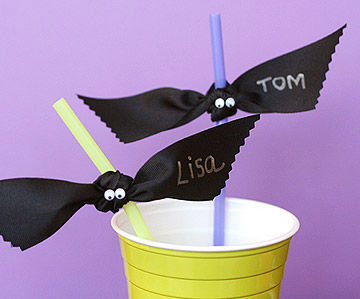 They remind me of my favorite Halloween wreath, it is really clever for a party because you can write the guest names on the bats, and (surprise, surprise) they are from my favorite Lisa Storms. 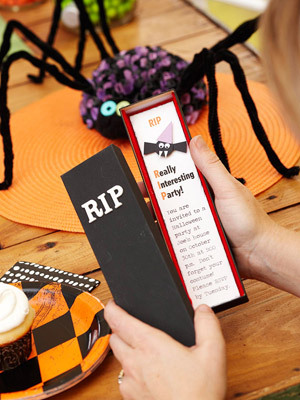 The invitation that goes along with this party is pretty cute too. You can check out the coffin invitation at Scrapbooks Etc. too. Lorie - those bats are awesome! Great idea for a party where cups get confused and no one knows which one is theirs! I love these straws! So easy and simple, yet so clever.